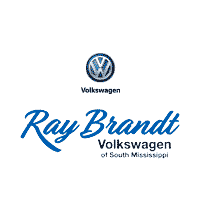 We are so happy to be able to offer our Southern Mississippi friends and neighbors the best deals on some of the most incredible, innovative Volkswagen models ever constructed. Beyond our superior selection of new cars in Diberville, we also have an exceptional variety of pre-owned cars of nearly every make and model. Customers searching for pre-owned cars in Hattiesburg will find the best deals right here in Diberville. Our centrally located Volkswagen pre-owned car lot in D’Iberville allows us the opportunity to easily serve all MS customers looking for a great pre-owned vehicle. A convenient destination for those looking for a great vehicle in the Gulf Coast region but aren’t quite finding what they want elsewhere. Our brand new, ultra-modern facilities were designed to exist as a comfortable respite in a world of high-pressure sales. We believe we have succeeded in creating a safe space for you to make the decisions that are right for you and your family, with no pressure and no worries. We believe that our primary role is not to sell you a car, but to find you answers to your automotive questions. In addition, we are in the business of introducing you to a new way of maintaining and servicing your car. In our advanced, highly-sophisticated new automotive service department, we employ some of the best, most well-trained service technicians in all of MS. Our service professionals are able to take care of your quick service needs with great care and precision, while handling some of the bigger repair jobs with unparalleled skill and experience. Skilled technicians with a focus on genuine openness, honesty, personality, and grace are hard to find. But rest easy knowing our service professionals are some of the nicest in the industry.